1. Wildleaf deli and cafe: Whether it is enjoying the freshly prepared food in the café, or sampling things at the deli counter or tasting events, Wildleaf is foodie heaven. The owners, Matt and Cathy have a passion about ‘farm to fork’ principles and food provenance (we profile him here). This is the place to come and smell the freshest fruit and veg’, or choose dinner treats. There is huge care and attention to which brands are stocked and the curry pastes and ice creams are some of the best we have ever tasted. 2. Swan Beer Garden and 56 varieties of gin: The best al-fresco destination in Olney has to be the beer garden at The Swan Inn. This traditional pub offers quality food to suit all budgets, as well as real ale and 56 varieties of gin (more on that here). It is a ‘proper’ traditional pub. From their community work, to the independent spirit of the place, the pub has a very loyal band of followers for a reason. The place is dog friendly, with furry friends allowed at the back. There’s a special two course set menu which is popular at both lunch and dinner during the week. 3. Teapots: Sue and David’s dream was to own a tearoom and they searched high and low before choosing Olney. 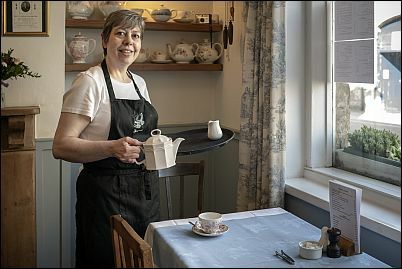 At Teapots, they have kept this local institution as the quintessential English tea shop, with its china and familiar seating, but upgraded the quality of the food. The eggs are some of the best in town: sourced from a local free range farm. The cakes, all taken from well-thumbed recipe books, feature the classics with a few twists of their own. Afternoon teas is a speciality enjoyed by bridal parties and baby showers, groups of walkers, and anyone who fancies an indulgent afternoon. Copyright Steve James for Visit Olney. 4. Olney’s butchers is on the market place and offers the finest locally reared produce and extra special sausages! 5. 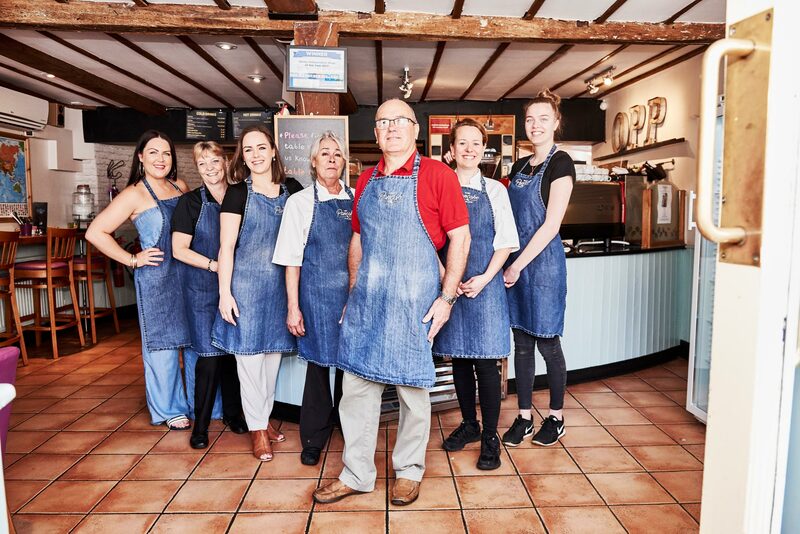 Olney Pancake Parlour: Fresh from celebrating the Pancake Parlour’s accolade of being voted the Olney Independent Shop of the year, the Donaldson family have been expanding their new menu. Barry Donaldson says, “We believe customer service is key,” which could explain the popularity with local people. It is a great meeting place for groups, as it is located on the market place. Whether it is indulgent milkshakes or the eponymous pancakes, it is worth a visit.